Our product range includes a wide range of detpol liquid cleaner, germicide, caustic soda additive, dairies chemicals, chiller brine and phe cleaner. Chemtex Speciality Limited deals with the manufacturing of varied range of quality chemicals lending their assistance to the housekeeping division of different service industries. The range of products catered includes Glass Cleaners, Floor Cleaners, Toilet Cleaner, Dish Washing Chemicals, etc. These chemicals help in maintaining a cleaned and disinfected environment in houses, hospitals, hotels, or any other service industry. 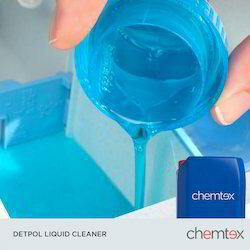 CHEMTEX'S Detpol Liquid Cleaner is a concentrated blend of anionic surfactants and emulsifiers. It is high foaming liquid cleaner for general purpose cleaning applications in food and beverage, brewery, dairy and pharmaceutical industry. Germicide works on a broad spectrum with versatile applications for cleaning and disinfection with applications including disinfection in OT, hospital wards and other critical areas, food and beverage industry, and other industries. QAC Disinfectants have a wide spectrum of activity. Disinfectants and Germicides have an important role in preventing infectious disease spread. Germicide also destroys algae and is used as an additive in large-scale industrial water systems to check unwanted biological growth. Health care facilities, day care centers, and restaurants may be centers for transmission of bacterial and viral illnesses where use of disinfectants is important. 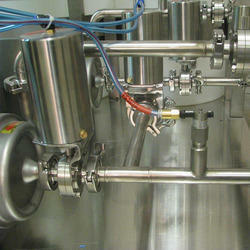 Nontoxic and excellent material compatibility make the usage of QAC Disinfectants widespread. 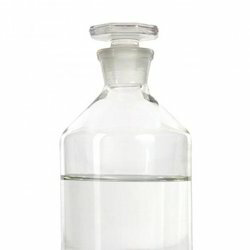 QAC Disinfectants can be based on any generation of Quaternary Ammonium compound and has a high disinfection ability even on HIV, MRSA, Herpes, Influenza sort of virues.Chemtex manufactures a wide range of QAC based Germicide working on a broad spectrum, effective against Pseudomonas, Salmonella, HIV Virus, and many other resistive strains. It works against both Gram positive and negative bacterial strains. Application Areas include hospitals, diary, F&B, and many others. 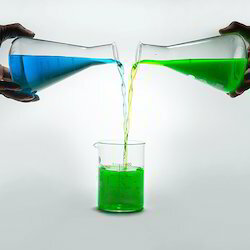 Detergent properties for floors, walls, equipments, tanks, etc. Chemtex Speciality Limited manufactured product Caustic Soda Additive is a blend of sequestrants and defoaming surfactants for use as superior cleaner additive in caustic liquor for cip and bottlewashing applications in food and beverage, dairy and brewery industry. Chemtex Speciality Limited, through extensive research and industrial expertise, has been able to manufacture a range of Dairies Chemicals product that gives an edge to the dairy farms by helping in enhancing the productivity without much fear of infections. Chemtex provides complex formulations with many active substances including sequestering agents, stabilizers, etc that offer the best result in terms of infection control and prevention. Cleaning and disinfecting is indispensable for maintaining the well being and health of high producing animals, such as dairy cows. In the process of increasing productivity and density, the dairy farms in a way tend to increase the infection pressure. Proper cleaning and disinfection through chemicals can be the only way to prevent or break disease cycle and help in decreasing the pathogen level. The Dairies Chemicals, offered by Chemtex, provide the perfect solution to all the infection related issues faced during dairy processing. In an industrial cooling and heating processes, Chiller Brine is referred to as coolant or other heat transfer fluid (HTF) that finds use in large installations for dissipating heat from one place to another. 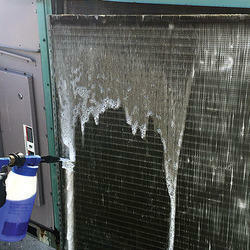 Chiller Brine is utilized for lowering the freezing point and enhancing the efficiency of heat transfer. Chemtex manufactured Chiller Brine are of various types used in today's world for heat transfer & thermal storage, Glycol based brine such as mono ethylene glycol (MEG), propylene glycol (PG) and diethylene glycol (DEG). Inhibited Brine solutions provide protection of metals against corrosions. Chemtex manufactured Chiller Brine is referred to as a solution when cooling medium is water with glycol and this occurs when low fluid temperature is demanded or glycol must be added to the cooling water in order to protect it from freezing. Chemtex manufactured product PHE Cleaner is a low foaming acidic cleaner for phe for cleaning of organic, inorganic soils and scale deposits commonly found in equipments, bright beer tanks, road tankers, phes (plate type heat exchangers), cold milk surfaces and bottle / dish rinsing aid for shining and alkali neutralization. PHE Cleaner is a phosphoric acid based liquid descaler that rinses off alkaline residue and aids in removal of lime scales and acid soluble residues. It is used in a wide range of applications and is suitable for use on aluminum, cast iron, mild steel, stainless steel, copper, brass, monel and other cu-alloys. 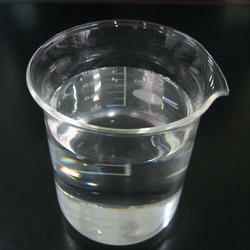 It is added with surfactants, defoamer and suitable organic inhibitors to prevent acid attack on metallurgy. Looking for Dairy Chemicals ?